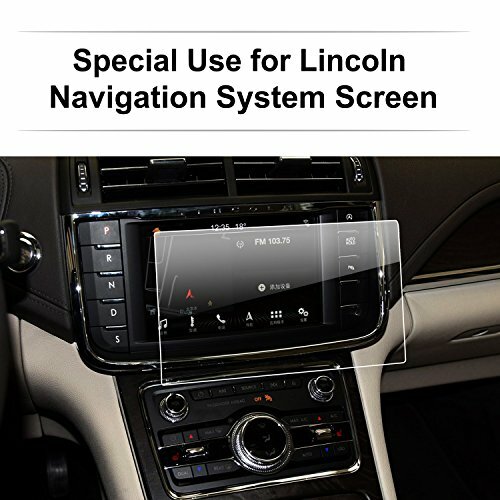 2016-2017 8-Inch Lincoln Continental Navigator MKZ MKC MKX Infotainment Display Touch Glass Screen Protector -All around protection for your beloved car navigation! Before placing order, Please pay attention to your screen size is compatible with our item or not, Read the picture and text description clearly. Protect your screen from scratches and knocks, every single time. Shatter-proof membrane ensures glass sticks together even if severely broken. Premium strong defence tempered glass material which composed of several high quality protective layer. As you keep using your car navigator, it will cover with fingerprint smudges, dust, scratches, or in the worst-case, an accidentally spilling liquid or a small scratch of a ring that last the life of the screen. Now it is the time to use this item to preserve the mint condition of your beloved screen!